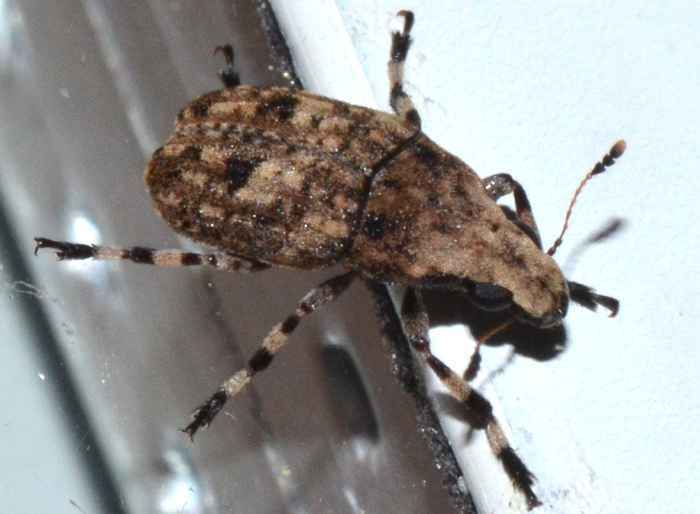 Euparius marmoreus (Fungus Weevil (unspecific)). Size: approx. 5-7 mm. Photo: 06/28/12, 10 pm. This fungus weevil is most likely Euparius marmoreus. The genus has five species in North America. Most fungus weevils feed on fungi or decaying plant matter, while their larvae live and feed within dead wood. 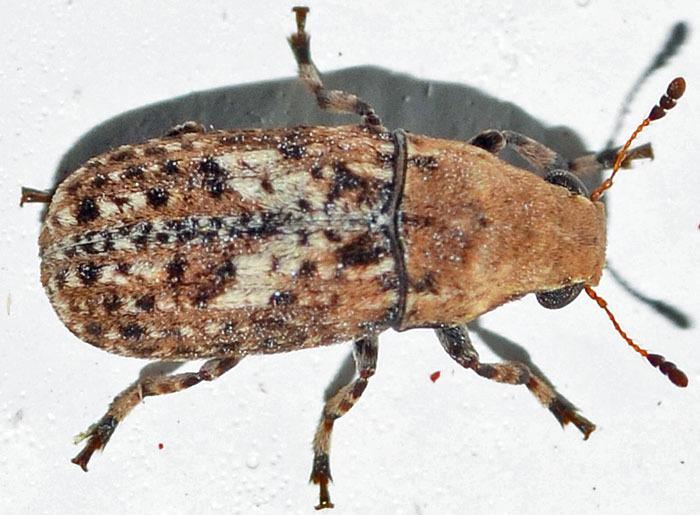 ... and this weevil is in the sister species Euparius paganus.